Durham Boat Company’s Durham Boat Club (DBC) Sculling School offers lessons on the “wild and scenic” Lamprey River to all interested in sculling from novices to accomplished competitors. Anyone taking lessons will be short-term members of the Durham Boat Club during the time period of participation in lessons or rentals. Then we may use an indoor rowing simulator is used to reinforce the proper sequence of motions during the drive and recovery using a template power curve to help the novice to have a graphical model to duplicate to learn how to apply power efficiently. We then spend about half the allotted time on the water review all the drills and biomechanics of rowing practiced first in the tank and /or on the rowing simulator. For more advanced scullers, interested in racing, we offer video analysis and the rowing simulator to improve the finer points of sculling technique and optimize power application. 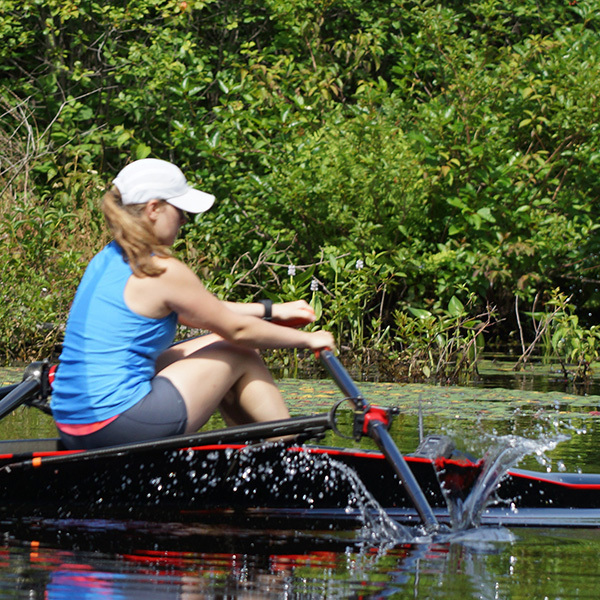 In addition, we will work help the customer with any aspect of rowing (i.e., training, conditioning, racing, rigging, boat repair and any other topic related to rowing). If appropriate and convenient the customer may have the opportunity to take some competitive pieces with regular members of the Durham Boat Club or the coaching staff. Instruction on the river is custom tailored for each individual. The instructor to student ratio is no more than 1 to 3 thereby giving each sculler much attention. Most of the coaches are either former National Champions, National Team Members and/or have coached National Teams. Two of our coaches have USRowing coaching certification. The instructor will coach from either a single or, in the case of videotaping, from a motorboat or from the dock. Lessons are scheduled for 9 or 10 am or 3:30 pm on weekends. Upon certification in all basic boat handling skills, then a customer is encouraged to take a practice session before taking another lesson. In the first lesson, boat handling, safety, and basic sculling technique are learned. 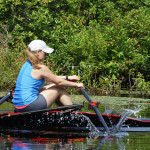 Also, a video of the proper sculling technique is shown and a basic introduction to rowing biomechanics is provided. Rowing technique may be practiced in our Indoor Rowing Tank further practices on the Coffey sculling simulator or several other machines that we have. The learning curve for rowing is very steep. In several hours, one may progress from a complete novice to a proficient sculler in a high-performance recreational rowing shell. After the first or second lesson, a row without coaching may be helpful for practicing what was learned. Then another lesson is useful to clarify technique and more drills will be shown and explained. By the third lesson, many are able to move up to a racing single. videotaping is also available when requested. We can also structure the coaching session to meet your specific needs. A class in boat rigging and/or boat repair can be arranged. Also, we can rig your boat and oars, if you choose to bring your own equipment for an additional charge of $75 per hour spent on rigging or rigging-instruction. Also, specific training, conditioning, and racing techniques can be discussed and recommended to meet your specific needs. We are offering indoor rowing or sculling lessons indoors on weekends only. 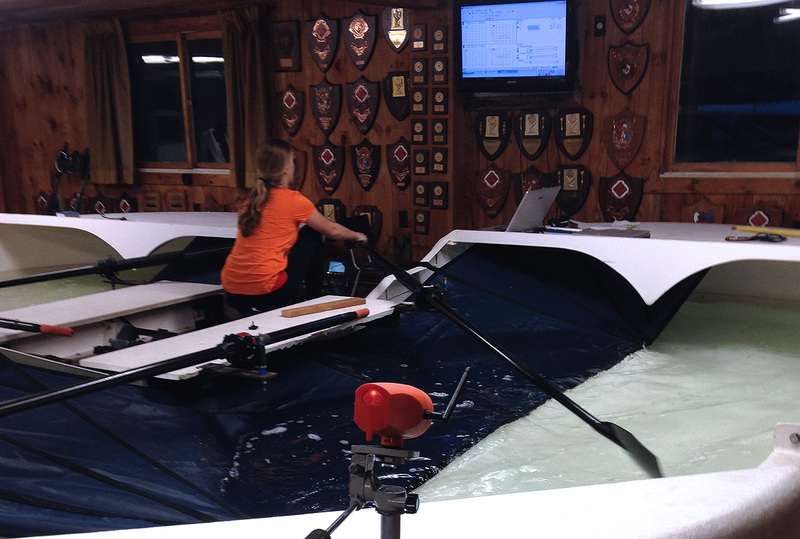 We have a two-station tank equipped with Force Measurement rigged for sweep or sculling were the participants can see the instantaneous feedback of rowing strokes. 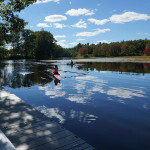 The DBC Sculling School dock is located directly behind the Durham Boat Company on route 108 (or 220 Newmarket Road) in Durham, NH. For people coming from the south: Take I-95 North and take exit #2 in HN (i.e., the Exeter/Hampton Exit). Once through the toll booth, go on Rt. 101 West until you get to the Rt. 108 Exit. At the bottom of the ramp take Rt. 108 North (Right) and go through Stratham, then through Newmarket and continue about 1.5 mile North of the center of Newmarket. The Durham Boat Company, Inc. is on the Left side of the Road adjacent to the Lamprey River about 0.5 miles past Stagecoach Rd. (i.e., on the right side of the road). For the novice, there is the stable, yet fast, Rec-Racer 1xs. For intermediate scullers, we have the FISA or BBG Champion Singles and for the advanced competitive scullers we have the DBC Lt. Wt. 1x, the BBG Champion “X” or BBG Olympia “X” demonstration singles. The sculls are Dreher carbon sculls (fixed length, adjustable and high modulus adjustable) with multiple blade shapes and other option to try. Individuals may also bring their own equipment to be used during the lesson or use equipment we have available. Lessons, approximately 2 hours in length, are $75/person per hour for a private lesson or $100/group per hour per coach. A group of 2-3 scullers will require only one coach. Groups of 4 or more will require additional coaches. Note: Group lessons may 2 hours or more. For rentals are $30 per person per day. If a lesson is taken, then a practice session is available at no additional charge if the coach has certified the customer of capable of taking either a recreational single or racing single out for a practice. Note: Not all lesson participants will be qualified for rental of DBC equipment. However, we have a two-station indoor rowing/sculling tank and two Coffey Sculling SimulatOar™, where technique elements and power application can be practiced. 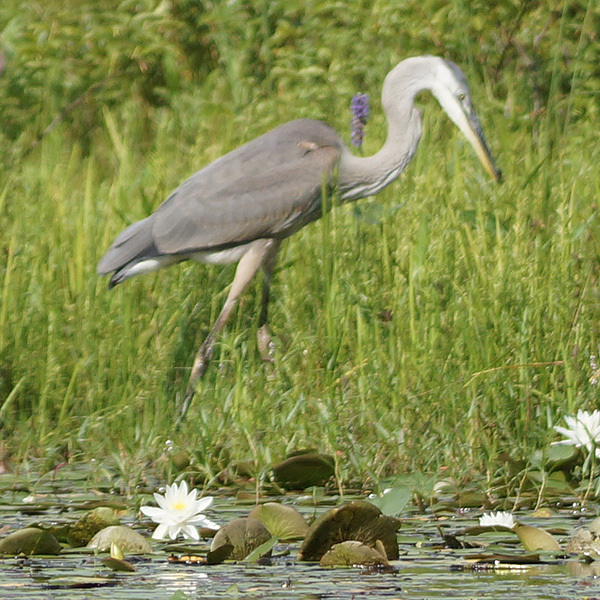 The Lamprey River is a sheltered freshwater river which abounds in wildlife. Beavers, muskrats and 6 species of turtles are often seen on early morning rows along with herons, ducks, swallows, woodpeckers, songbirds, hawks, and osprey. Protected from the wind and with little current, the water is always flat — ideal conditions for novices as well as experienced rowers.